Built for Festival Fans by Festival Fans! Will there be a Great Southern Blues Festival @ Narooma 2012? There’s no news yet, except that organisers hope to be back in 2012! This Blog has moved and is no longer being updated! WE HAVE MOVED – check out our new blog & join us! Have you been to any of the festivals that appear in this site? 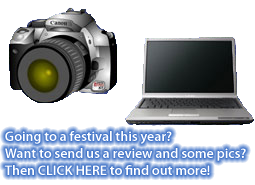 If so please please add a comment at the bottom of any of the festival pages or update posts. We're always looking for fresh content to help future visitors to these events. So please feel free to provide tips on transport, tickets, accommodation, where to eat & drink anything that makes the whole festival experience better.